Jungian process work over six consecutive weeks for an illuminating and interactive soul experience. Admission for 2018 is now closed. The 12 Steps towards Individuation has been designed to take you on an inner journey of self discovery. This is the true hero’s journey. Although the programme consists of a theoretical component, the focus is on the process work that is done in class within the group environment. All the concepts explored are applied to your own life and psychology. This work is intense but highly rewarding. Uncover your hidden drives and agenda’s and prepare yourself for a journey towards wholeness, armed with the tools from depth psychology. Consciousness precedes transmutation. This course takes you through a process that will result in permanent inner evolution. The classes will allow you to access the unknown contents of your psyche that influence and direct what happens to you and what you attract to yourself. This process of becoming aware of your own dynamics will allow you to confront yourself and effect a liberating shift in consciousness. 12 modules, three and a half hours per module, which include a theoretical presentation, facilitated individual & group process work and group discussion. A pre and post course questionnaire to help you gauge your shift through the programme. Access to a private Facebook group set up for the programme. Johannesburg will run over six consecutive weeks on Tuesday and Wednesday evenings from 6:30 pm to 10 pm. Cape Town will run over six consecutive Saturdays from 9 am to 5 pm. This programme is also excellent for couples to reconnect, break through communication barriers and work through relationship tensions. The Twelve Steps towards Individuation will allow you to connect with yourself in the most numinous and extraordinary way. Learning the language from Jungian and depth psychology combined with the practical application of tools will liberate you from your conscious persona, or who you think you are. You will learn how to connect with yourself and free your creativity and imagination. You will go on an adventure into the unknown areas of your psyche and unearth the hidden treasures that lie within. You will experience real courage and true love and compassion for yourself. You will forgive yourself and connect to others in a profound and meaningful way. You will leave the programme armed with tools and knowledge that will change your perception of yourself and your world permanently, knowing who you are and what you want. In short, you will gain self-knowledge and self-awareness and how to live your life consciously, with purpose and meaning. Module 1: Symbols – imaginative, external and internal. Learning to identify 2 teleological symbols: for the wound and for redemption respectively. Module 2: Consciousness and opposites. Exploring personal paradoxes and practicing the application of consciousness in key areas of your psychology. Identifying archetypal patterns in your life story and playing with the fluidity of archetypes in terms of your own reality. Exploring your own complexes, both unexpressed and misplaced, and experiencing the creative power of relocating complexes. The external image of the shadow (projected). The internal image of the shadow (introjected). Module 7: Anima and Animus. Exploring the archetypal image of the anima (beauty, desire, mystery)and the archetypal image of the animus (rationality, judgment, and intellectual discernment) within your own psyche. Module 8: The magical other. Understanding the power of the other in terms of your relatedness to yourself and the world; the transformative potential of making this relationship conscious. What is the meaning of this word and how do you access your own authenticity. The journey to being your authentic and whole self. A culmination of the work done during this programme. Recap of tools acquired and role of ego in individuation process. Learn to understand your patterns and behaviours. Understand why you are attracted to, or have an aversion to certain people. Start to take responsibility for your own life. Explore your own unique and fascinating personality. Stop your cycle of reactive behaviour and replace it with proactive behaviour. Understand the role of the transcendent (divine) principle in your psychology and your life. Learn the difference between individualism and individuation. Feel the right and obligation to be fully self-actualized. Be able to distinguish between achievement and meaning and between being goal-oriented and living your purpose. Understand the difference between perfection and wholeness in your psychology. Be able to identify the saboteurs in your psychology and your world. Be introduced to the magical other and the power, romance and transformative nature of conscious relating. Be able to actualize freedom, self-agency and personal sovereignty. Have the tools to access the creative power of your unconscious. Go forward in your life, armed with the invaluable psychodynamic tools to manifest a life of meaning, purpose, love, desire, adventure, wonder and beauty. Please note that in order to make the transmutation process conscious, there will be a pre-course questionnaire prior to the course commencing and a post-course questionnaire after the course has been completed. This is a critical part of the process and your journey. The Twelve Steps towards Individuation is currently closed for student admission. If you need any additional information, or want to apply for a couples’ discount, please phone Anja on 082 949 8895 or email anja@appliedjung.com. Sigmund Freud, Carl Gustav Jung, Alfred Adler, Jacques Lacan and Melanie Klein are a few amongst an elite group of men and women who have literally reconceptualised the human being. Anyone who post-psychoanalysis conceives of the human condition without taking the unconscious into account, not only as a factor but as the most significant determinant of our identity, character and destiny, is , with respect, hopelessly naïve; and is not going to arrive at anything approaching a full picture of the psyche and the human person. Depth psychology and the giants who have contributed to its empirical data, analysis and theoretical body of work have given us a radical set of tools with which to re-imagine our very identities, the core of our beliefs about ourselves and our role in the world and in interpersonal encounters. Where so many well intention systems of thought and “transformational schools”, that propose radical change in the subject, fall short is in their failure to acknowledge or understand the role of the unconscious in human thought, feelings and actions. These are the three principal influences on the system of Applied Psychology, Consciousness and Personal Transformation taught at the Centre. 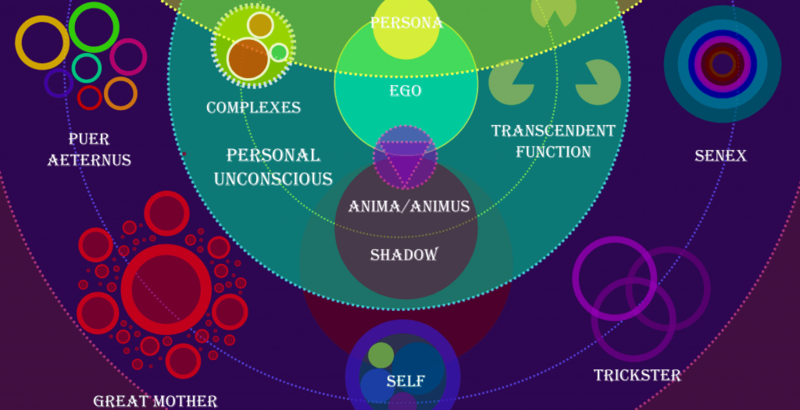 For more information on our philosophy and methodology follow this link Applied Jungian Psychology. Anja van Kralingen is the director at the Centre for Applied Jungian Studies. Anja has a MSc in Spirituality, Consciousness and Transpersonal psychology from The University of Middlesex, and has walked the Jungian journey for over 15 years. Anja is passionate about the Jungian system and believes in empowering individuals to go on a journey of self-discovery, finding meaning and unfolding their own path of individuation. Stephen Anthony Farah is the co-founder and senior lecturer of The Centre for Applied Jungian Studies South Africa. He is also an executive member of the International Association of Jungian Studies. Stephen holds an honours degree in analytical philosophy from the University of the Witwatersrand and a Master’s degree in Jungian and Post Jungian Studies from the University of Essex. Stephen’s areas of interest include psychoanalysis, film, the philosophy of language, consciousness, individuation and the simulation hypothesis. Thanks so much for an extremely interesting (and challenging) course. It was not only utterly worthwhile but also stimulating and enjoyable. I wasn’t expecting that! You have certainly opened up a whole new world for me for which I will always be very grateful. The Twelve steps course is potent experience in real transformation. It is literally life changing. An extraordinary journey, beyond words. And the gift of a lifetime. Many, many thanks to Anja, Tasha and CAJS. On this most profound “journey of life”, the 12 Steps to Individuation have provided much insight into my own psyche. I have dived, delved and explored depthy of myself that I have not thought possible. I would not have changed a thing! I have delved into myself and learnt many wonderful lessons… the one experience I always wished I had is to ‘to love myself’ and I found this in our experiences… I saw, accepted and loved myself for the first time…the presence exercise was powerful… I now get Eckhart Tolle’s “be present, be in the moment”… the energy I am actually pulling through is my authentic self, and who I am in that moment… it was amazing to know that respect and discernment intertwined with presence in that moment results in my most authentic way of being arising within me. Individuation is something that ALL seekers should be aware of. It runs gently, but very deeply in a currently hidden part of us. Anja is a true facilitator. She never dictates, she creates a space that allows us to reflect each other; and most vitally, ourselves! I did this course earlier this year and for the first time in my life I started to understand what was going on in my world. Why certain patterns kept repeating themselves, why I attracted people that did not honour me. Not only have I made some HUGE changes in my life, met some incredible people who have now become friends, but I have also been given the key to that place that holds all the answers for me. I not only recommend this course, I guarantee you that this will be the best gift you have ever given to yourself. It is a presumption that we are all conscious, or at least aware, when it is rather the case that we are suffering the lot of an undefined life, an assumption. If one suffers the questions, then one is directly responsible for freeing the answer most personal to them. This course is a start. A gentle, forensic audit of invisible forces that make the unseen more illuminiscent. So, how can I begin to thank you, ‘Anja and Stephen. In 12 weeks, I have traveled a journey of 25 years and uncovered the trap door to my soul and my essence. And although I know there is much grieving and mourning, recognitioning and reconstructing ahead, I have begun the process of reclaiming what is truly mine. I thank you from the depths of my being. Thank you Anja and Stephen for bringing this to me, the man on the street! I found the course had a profound impact. I learnt a lot about myself. I gained a lot of understanding and I feel like I have had some major breakthroughs in growth. Thank you for a great programme. I wish these things could be shared with more people for it truly has a huge impact on my personal journey! The expositions were well presented and the practical exercises and homework were so relevant and helpful in grasping the concepts and teachings more comprehensively. This is surely a journey worth taking!! I joined the 12 Step Individuation Programme not knowing what to expect, but it felt right and I made the commitment. In the search to my authentic self I encountered an exceptional group of people. Kindred spirits that were caring, honest, accepting and real. The programme itself unlocks something deep within; a true journey of self-discovery. Not for the faint hearted, but so very rewarding. Thank you Anja and Tasha, for a magical and memorable experience. This course allowed me the knowledge, insight and processes to meet myself face to face. It created the opportunity for realisation and acceptance of different aspects of myself and my life. It has empowered me to feel my way to my Self and dialogue with my unconscious. I have had a taste of the numinous quality that life could hold. For that I am eternally appreciative. This course offers an alternative perspective, tool and outlet to one’s inner most burdens, fears, desires and potential. It is a gentle reminder of the possibility of the power of one’s own soul. I remember that at our first class I said that I did not know what brought me here but time would tell. Week 9 was my biggest shift-facing my shadows that I projected on a person I did not like. Mind you, the positive aspects of me were almost as hard to accept. In our week 9 class, facing this shadow crumbled the Great Wall of China that stood between us and changed my perception of him, inside me. I am very grateful. This teaching is powerful. This course was a gift to myself, giving me new and valuable insights into myself, exploring the space of feeling and appreciation rather than “fixing’. I feel through this process I climbed a notch towards self acceptance. This course more than lived up to its promises; I have done a lot of growth/personal development courses and this one stood out, stimulating and insightful! I do not usually participate in group training, and it was a big step for me to allow myself the vulnerability and openness to do this. I was slightly scared, but found an immensely safe space in the group – my co-participants were kindred spirits, and the course leader and co-facilitator continuously ensured a constructive and nontoxic healing and growth process. I tend to overthink and over-analyze, and had to work hard at ‘feeling and not thinking’ whilst trusting the process, but managed to do just that with the expert guidance of Anja, Tasha and the group. Despite this, the course also contained enough theory, reading material, and recommended reading shared among group members, to satisfy my thirst for structured knowledge and to balance it with the numinous ‘feeling-based’ process work. I found it astonishing how every bit of active imagination and symbolism and story telling fell into place as the process continued, like pieces of a puzzle I knew all along, but couldn’t recognize. For me, a nonreligious and over-rational being at the best of times, the logic in the magic was delightful and illuminating as I traveled the six-week path with with a sense of mystical wonder and awe. Best of all is that this awareness will remain with me for the rest of my days – the knowledge and experience I gained opened a vastness of new layers to my life. I know I will be exploring and excavating it for the rest of my existence. I am skeptical of ‘new age miracles and the pursuit of happiness at all costs’ and am grateful to report that this is nót it. With this course, I learnt about not trying to be perfect, but about striving to be whole. I loved dancing with my wicked shadow, calling out my intellectual and responsible persona, meeting the host of interesting, inane and some slightly insane complexes inhabiting me, discovering my archetypes, greeting my anima and animus, and – the most difficult part of the voyage for me – finding the magical ‘Other’. The experience of identifying my life’s paradox, and discovering a transcendent symbol to guide me towards balancing and accepting the extremes in me, will be a guiding light on my path from here onwards. Thank you to Anja and Tasha for this enchanting and enlightening key to a thousand doors. I will treat it with care and awe as I continue jumping down life’s rabbit holes. It is a fantastic fundamental. It has offered me a great overview to Jung and I have been fascinated by Jung’s work, theory and life. It has given me a thirst to learn more. On a personal level, it has also helped me to discover and link aspects which I did not see before. Anja and Tasha are fantastic facilitators. I felt that they created a safe space for me to work with incredibly personal content. This course allowed me to confront myself in a sincere and supportive environment – what a blessing! It came as a crucial and timely reminder to myself of much I had forgotten. I feel humbled and truly alive. Stephen is a fantastic facilitator and I think this course will inspire many people to embark on the longest and hardest journey in life – the journey towards oneself.